Discussion in '458 Italia/488/F8' started by ajr550, Feb 28, 2019. Square lights a la Corvette? Or square(d) like P80/FXX-K? The square twilights have been mentioned before. PPG70 should post the pic he’s talking about. I haven’t seen any mule shot that the tai lights weren’t completely covered and entirely indiscernible. Any idea about the timeline of the new little brother and the new big brother. The new little brother will follow the F8. Where does the big brother fit in? Perhaps since it eclipses the F8 in terms of size performance and price, the big brother may debut sooner than the little brother? Styling wise , which part of the car is very close to the battista ? Front , rear , canopy ? That's the best rear shot I can find and I can only spot a tiny bit of red near the edge of the rear spoiler, but nothing else. In any case, I like the idea of square tail lights.. 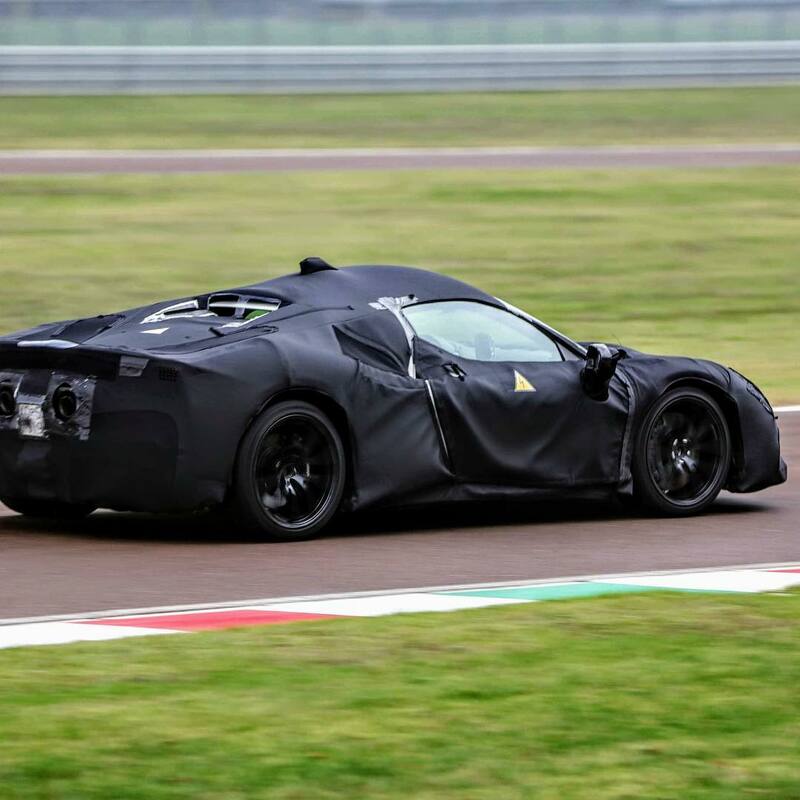 The BB will be here before the LB, which should be announced in 2021 (my guess based on Ferrari's statements regarding the hybridization of the mid-engine sports car segment). I just noticed the perforations are aligned in the shape of a Square could that mean Square taillights for the beginning of the hybrid era ??? @jpalmito Should be the front, because when I said* that I got "J50/Pista vibes" from the front of the test mule, Day355 quoted my post and wrote "Battista". Or at least that's how I read that. They claim FChat is the source but where does May 25th come from? And the nickname Ferr gave it suddendly becomes the way Ferrari calls it. "Journalism" in 2019. F2003-GA and F140C like this. Jonathan19, maximilien, jpalmito and 2 others like this. For a Ferrari hybrid with about 1000hp!? This is the deal of the century! Not really, all hybrid super cars will have more than 1000hp from now on. Making them with less than 1500 kg that’s the challenge! Surfah, j09333, Jonathan19 and 3 others like this. More power and less weight! Mac said they will wage war agains weight, it’s their focus! I hope when they launch a 1200 hp car with 1499 kg full carbon for 600k Ferrari will also follow a similar strategy (carbon for everyone eheh). That level of performance at that pricetag (without having to be on a VIP list) is nuts.